Content self-service at your fingertips. Marketers and sales teams can search, manage, share and repurpose digital content across many channels from a single source. Anytime and from any device. Are you missing an easy way to get access to marketing materials on the go, even when you’re offline? Use your smartphone to search, explore and present. We’re introducing a mobile-first experience of Digizuite™ DAM software. Digizuite™ DAM integrates with Episerver Digital Experience Cloud™, empowering Episerver CMS & Commerce users to secure brand compliance and consistency across channels, while speeding up time-to-market. Edit, upload and download approved images and graphics directly from Adobe Creative Cloud (InDesign, Photoshop and Illustrator), without leaving the creative environment. Spend less time searching for files and more time on being creative. Orchestrate digital assets and customer experiences on multiple channels from a single source. Digizuite provides the only seamlessly integrated DAM for Sitecore module, built into the heart of Sitecore. Don't just take our word for it. Our clients trust us to successfully support their digital transformations. Digizuite™ Media Manager is scalable and high-performing. Designed to make creative workflows simpler and more efficient. 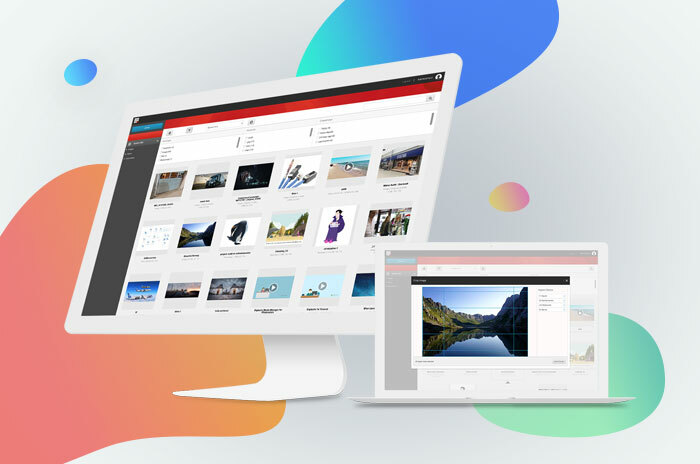 It meets your exact demands for enterprise digital asset management through customization. Digizuite expands in the US and hires a global CMO, Anna Lergaard, to accelerate our growth on the North American market. Welcome to Anna Lergaard! Join Episerver Denmark, Solar and Digizuite April 9/10 and see the new Digizuite™ DAM for Episerver Add-on. We’re ready to inspire you. Digizuite is excited to sponsor the annual Sitecore User Group Conference (SUGCON), the must-attend event for every Sitecore developer & Sitecore MVP. Are you an Episerver partner? Join Digizuite’s webinar with Episerver on March 28th at 3 PM and experience the brand new Digizuite™ DAM for Episerver Add-on that makes Episerver stronger. Digizuite, one of the leading software companies in DAM software (Digital Asset Management) is proud to introduce Thomas Schnoor as new Chief Operating Officer (COO). Meet Digizuite at Episerver Partner Close-Up to see the new DAM for Episerver Add-on! Experience the best enterprise DAM software integrated with Episerver. Digizuite™ is the best digital asset management software to ensure brand compliance. It gives you complete brand control across every level in the organization. Users value Digizuite™ for increased operational efficiency when managing digital content across channels. You will speed up your time-to-market and be able to react faster to new opportunities. We help you open doors for new digital services.